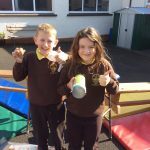 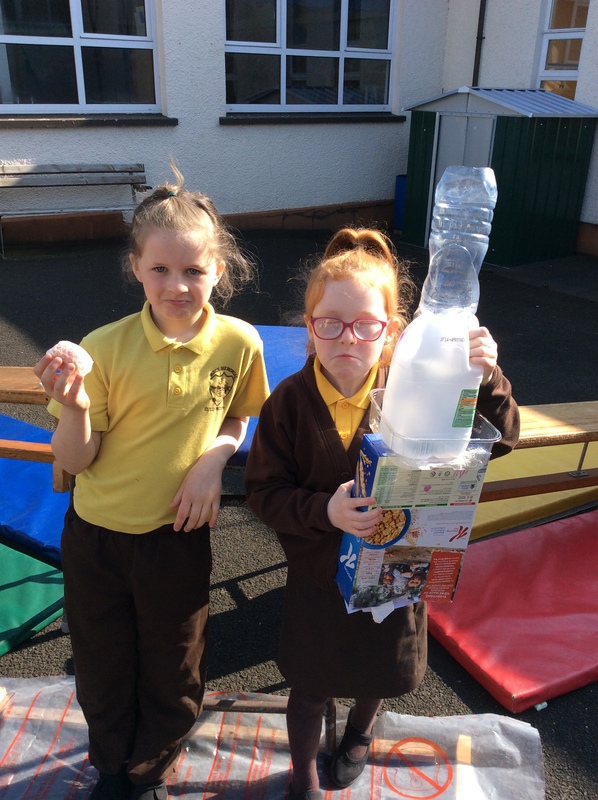 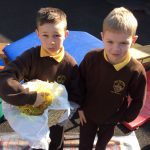 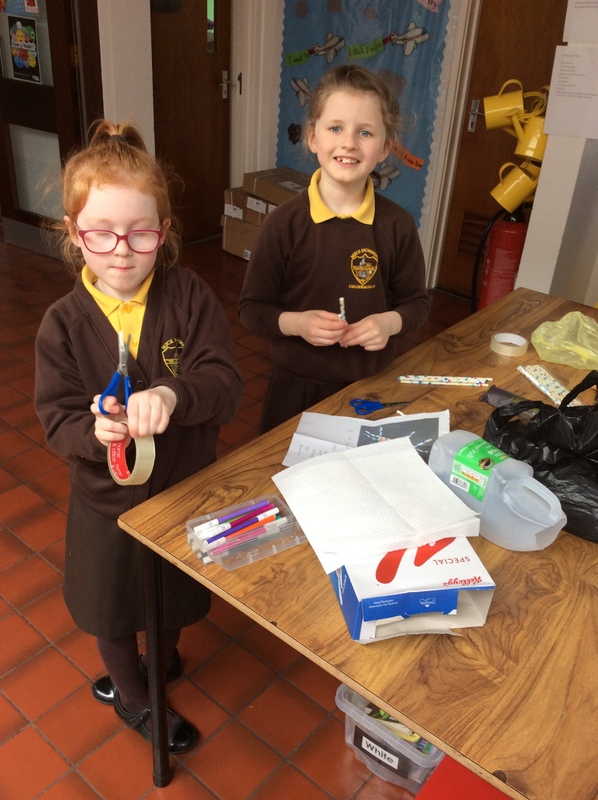 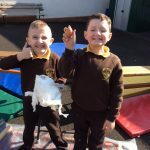 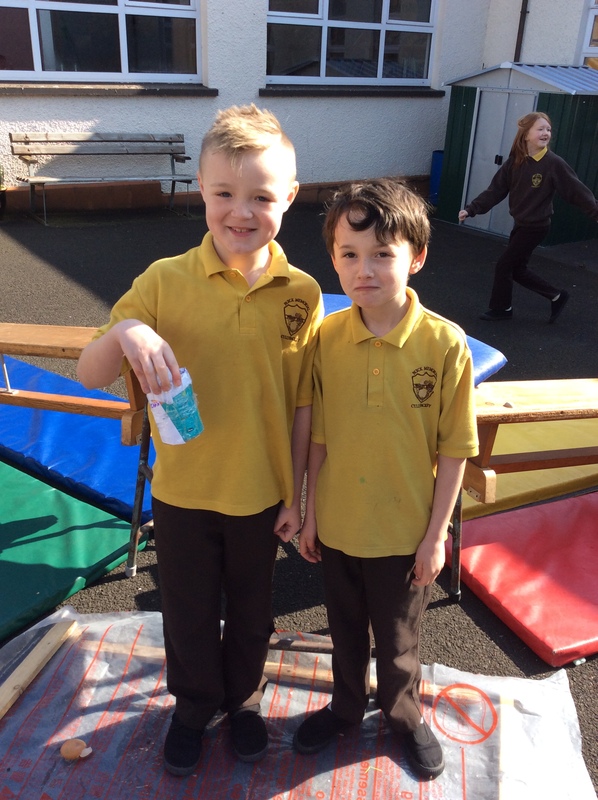 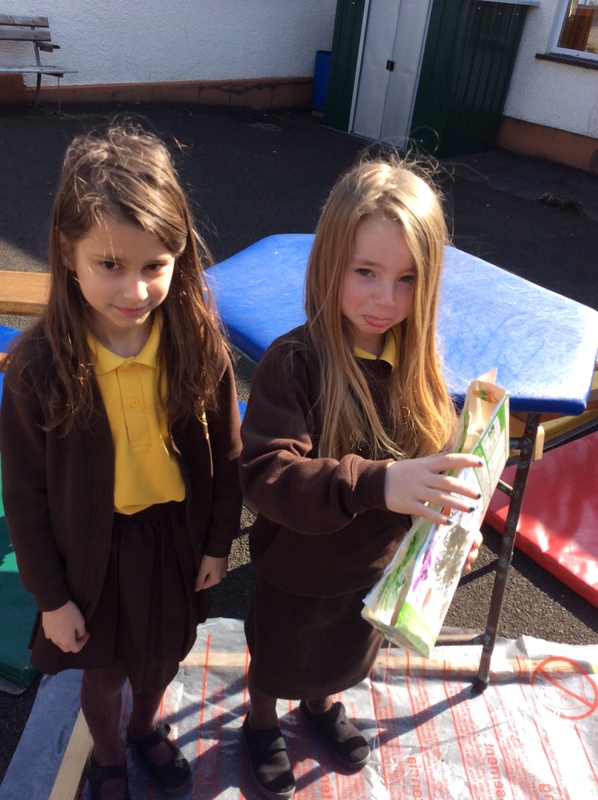 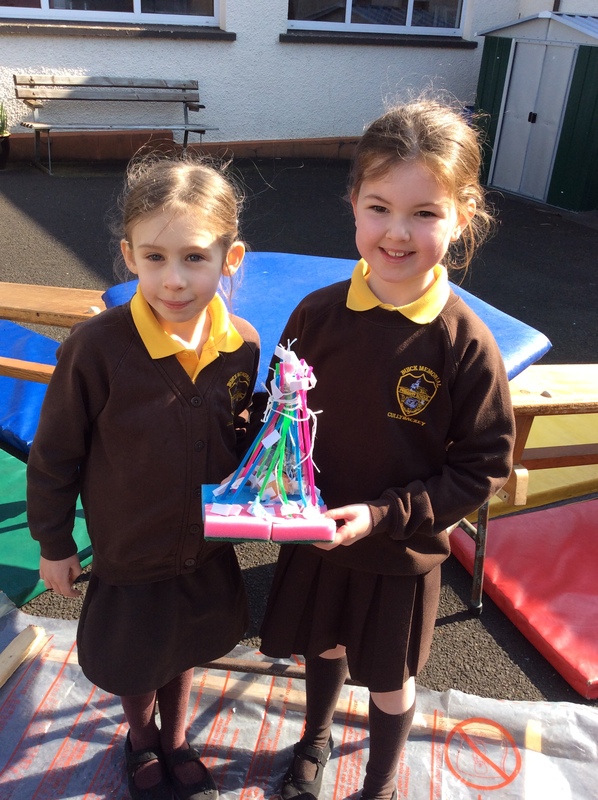 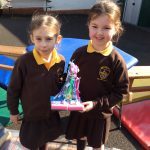 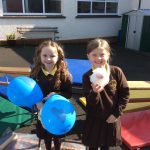 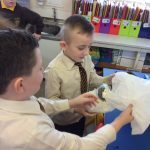 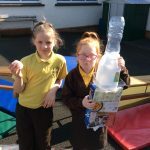 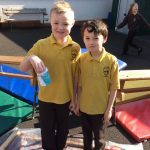 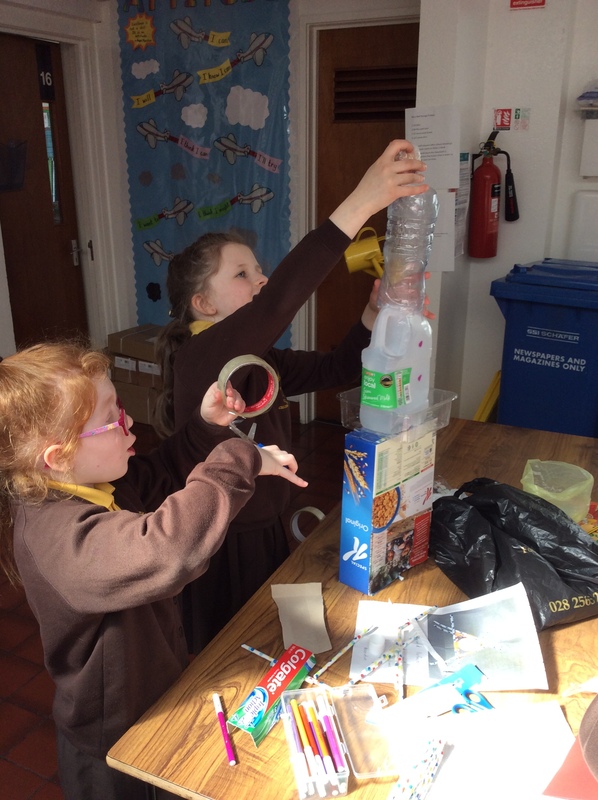 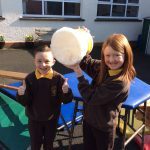 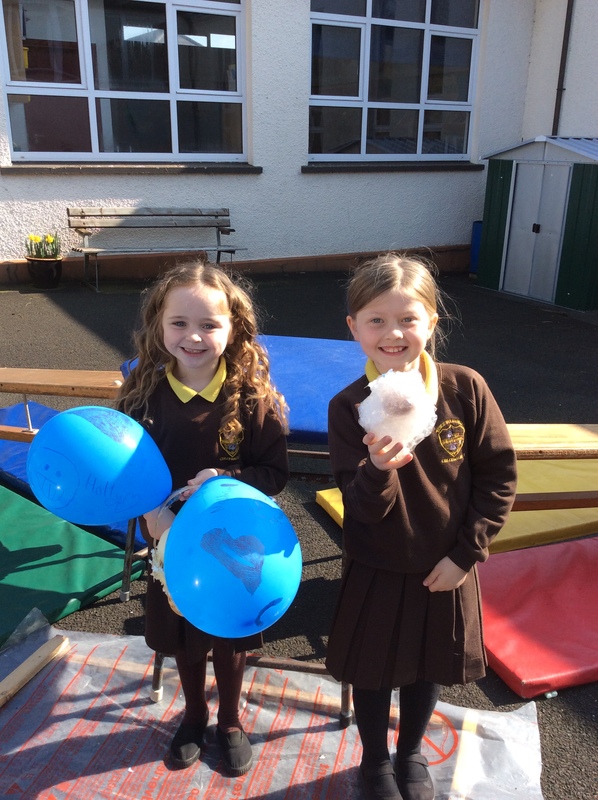 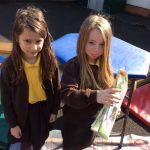 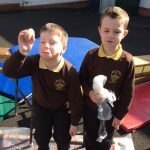 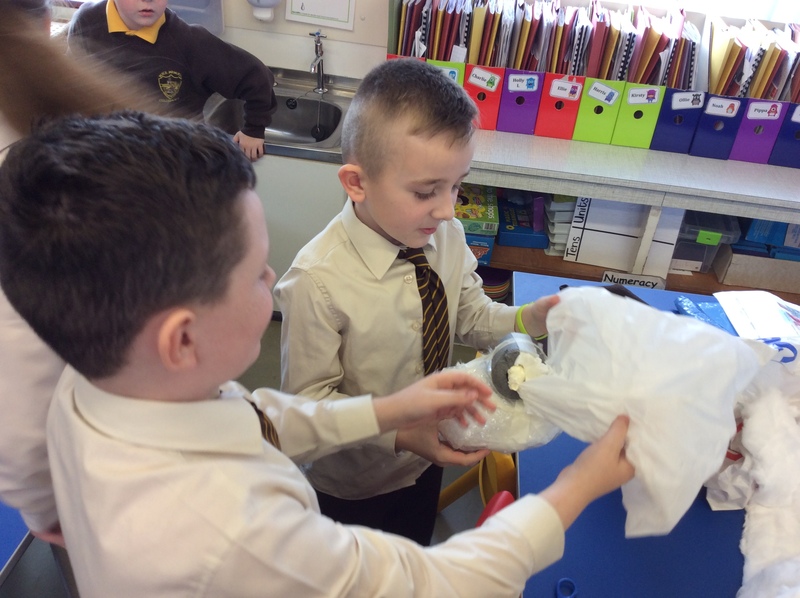 P4/3M were set a mission this week to build a contraption that would save their egg when it was dropped from a height. 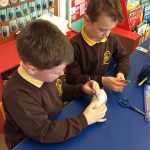 In partners, they designed and created their inventions. 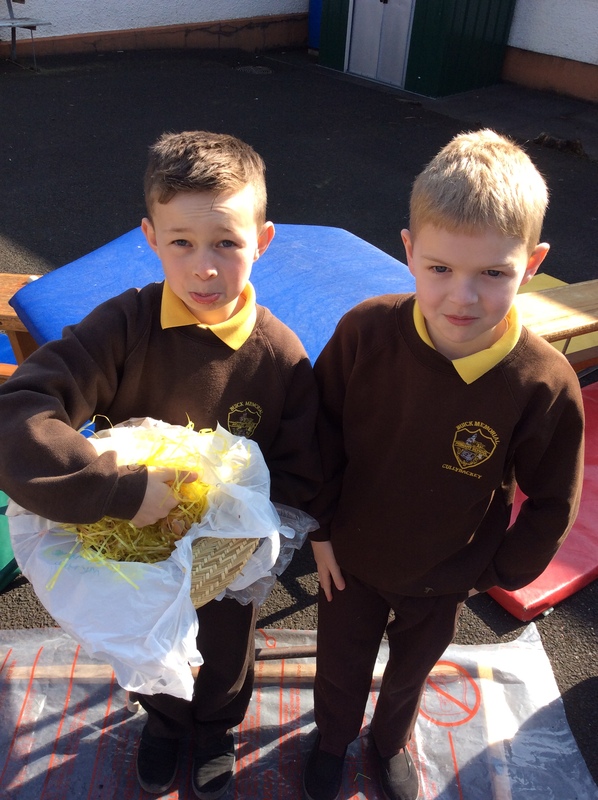 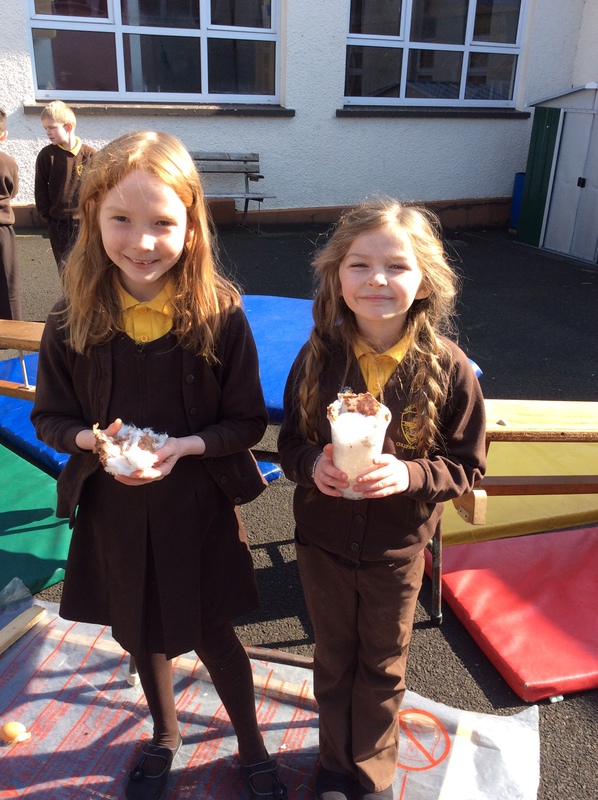 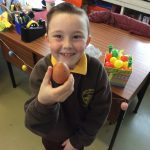 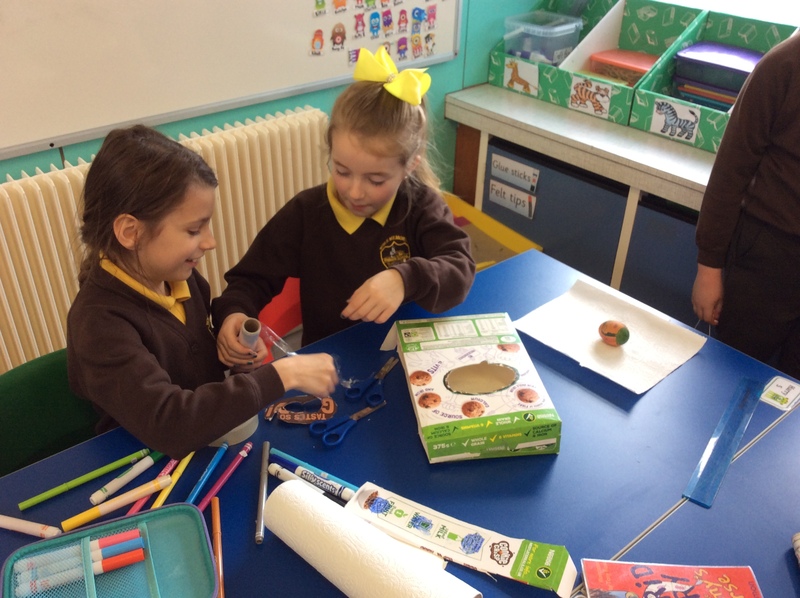 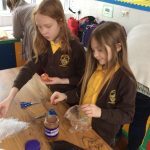 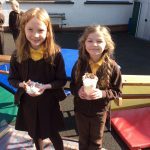 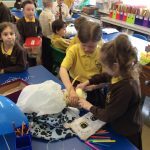 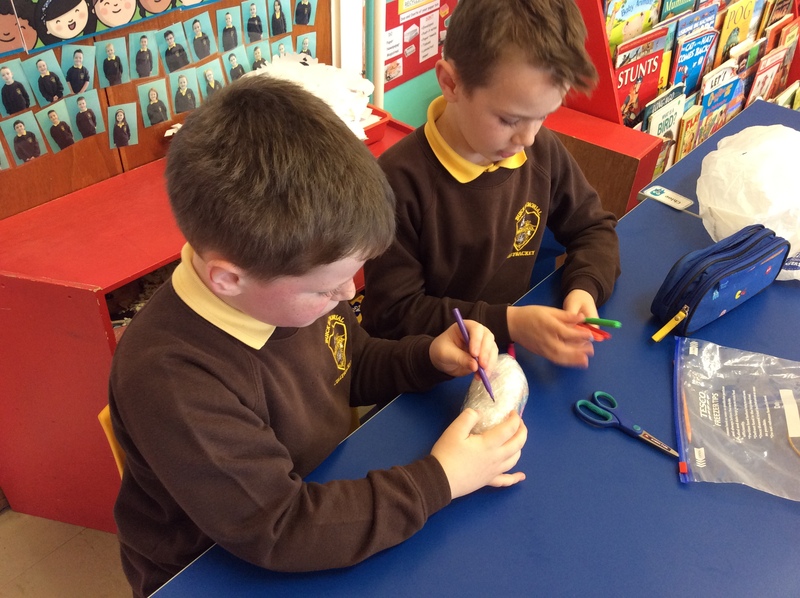 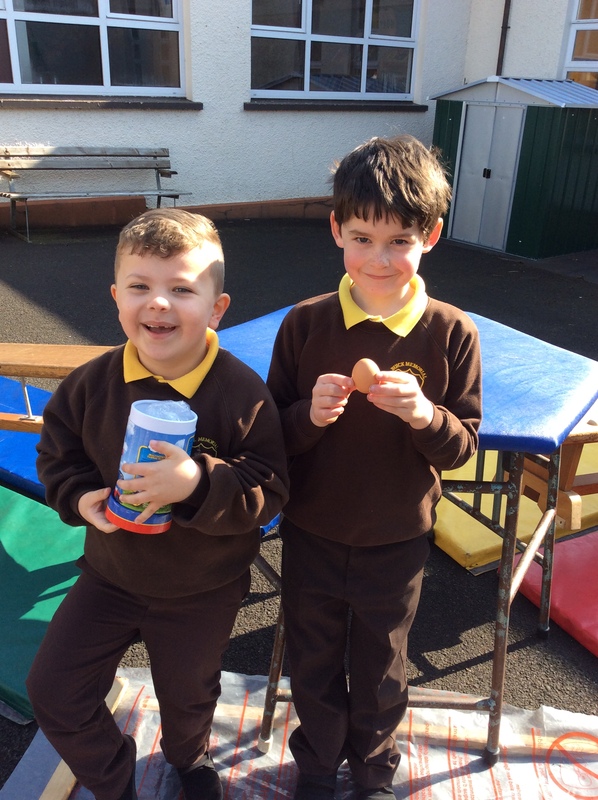 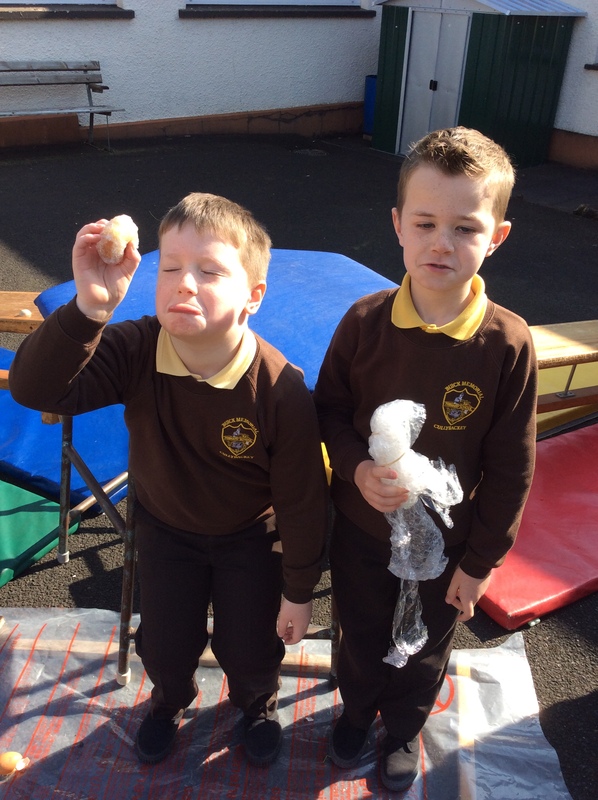 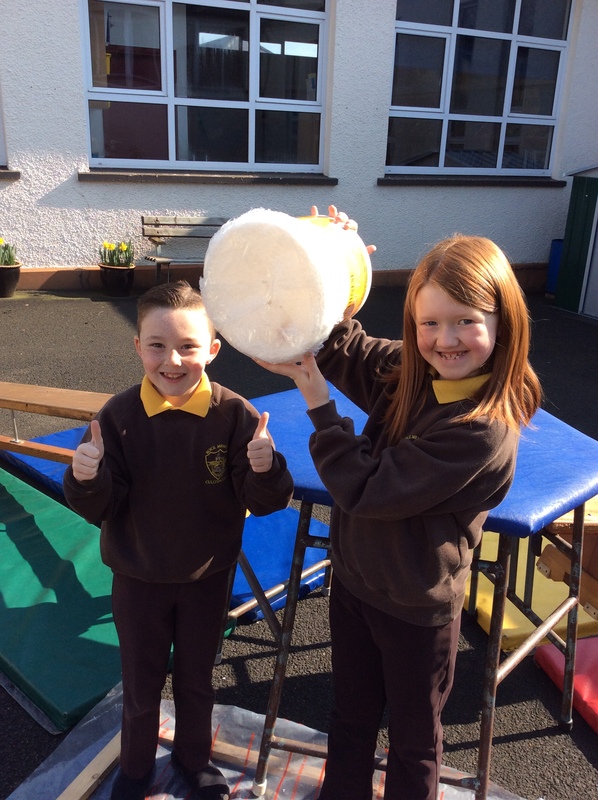 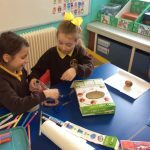 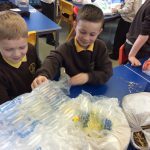 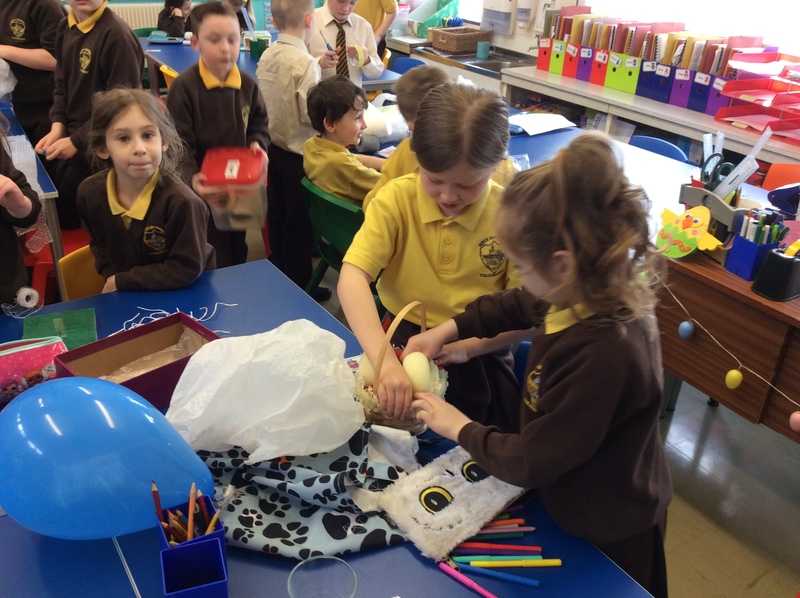 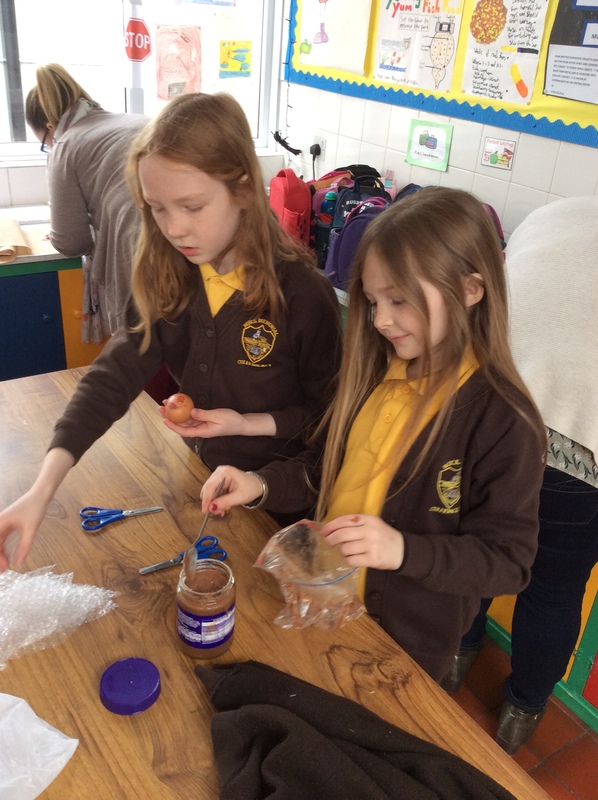 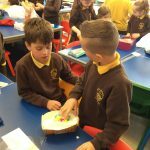 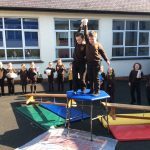 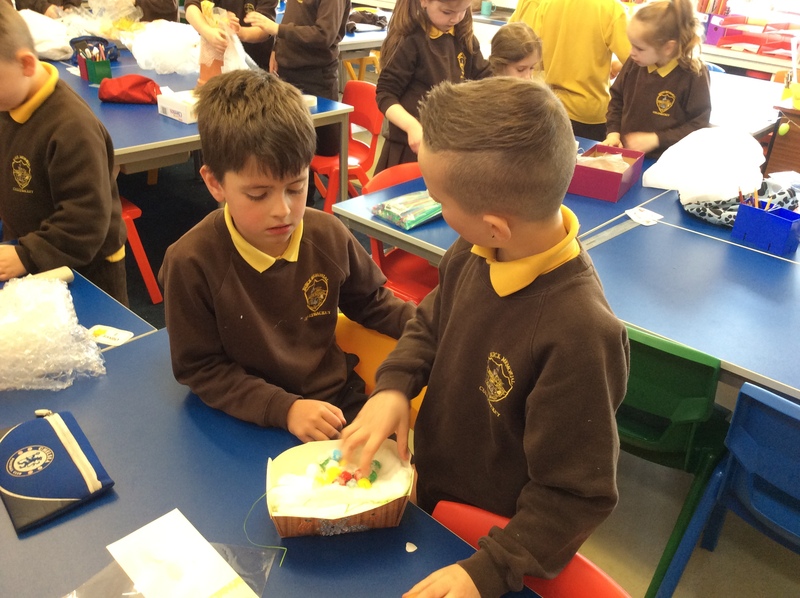 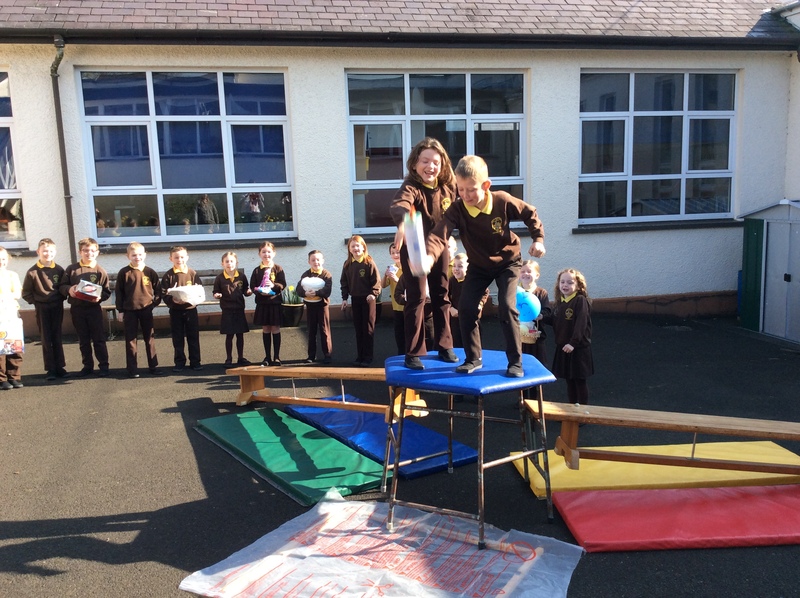 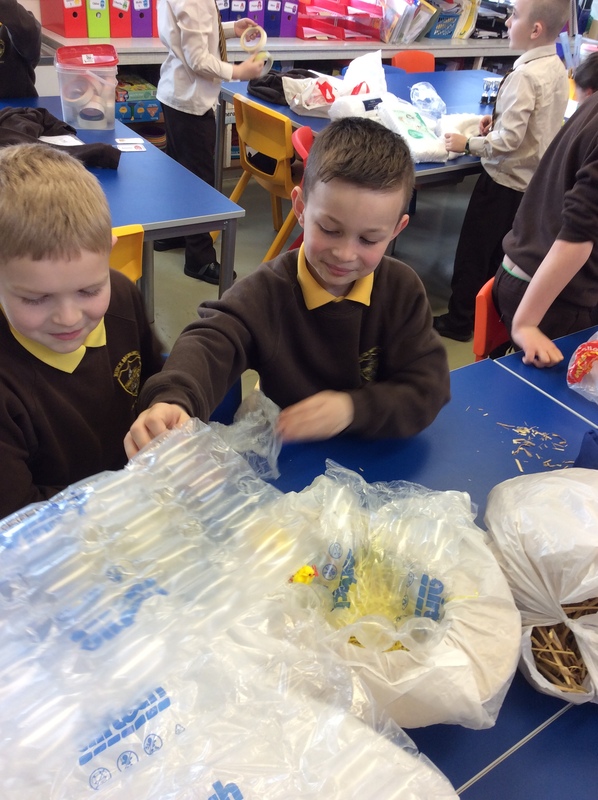 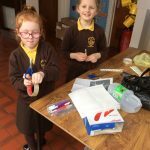 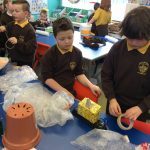 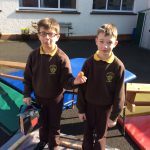 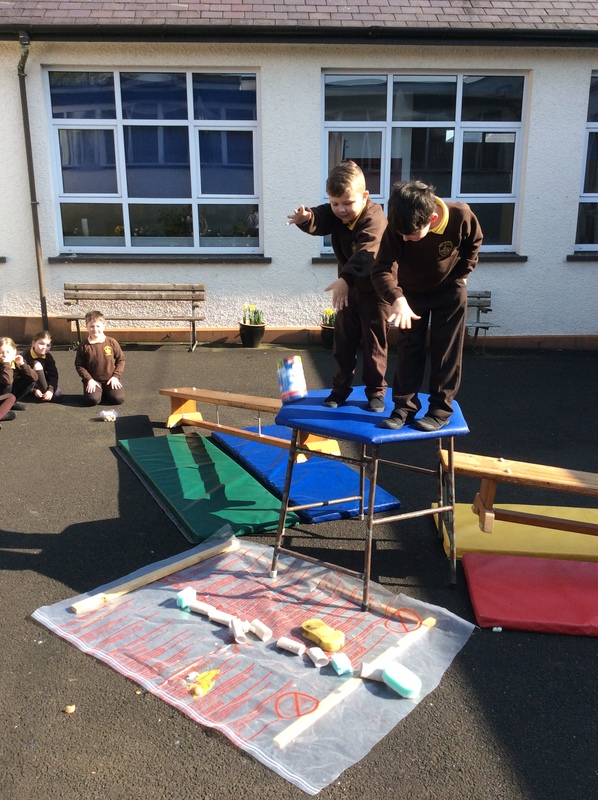 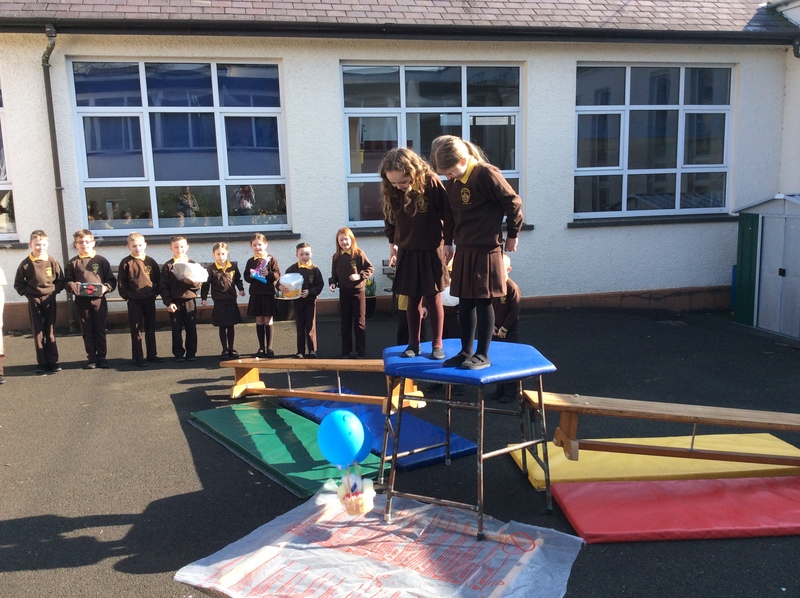 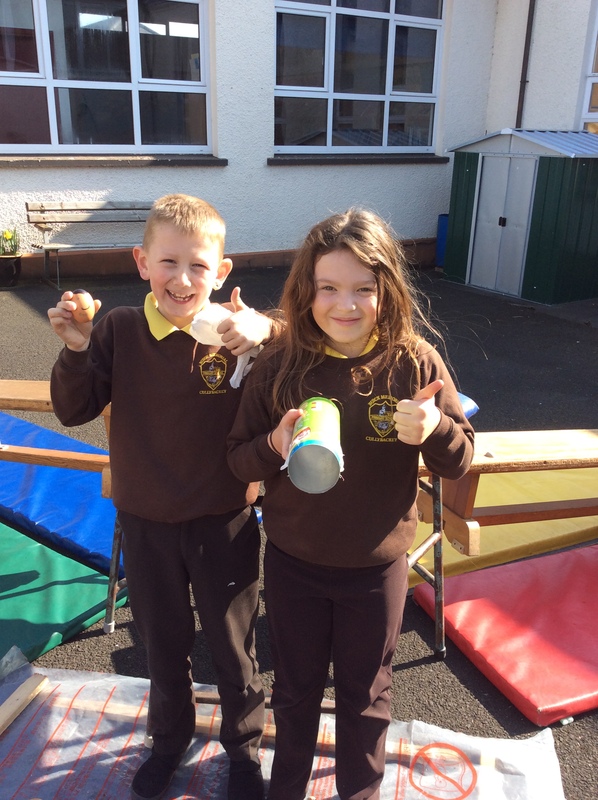 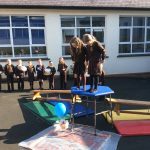 On Wednesday morning the P4/3 classroom was full of egg-citement as the class set to building their contraptions. 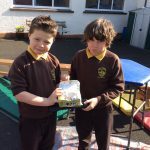 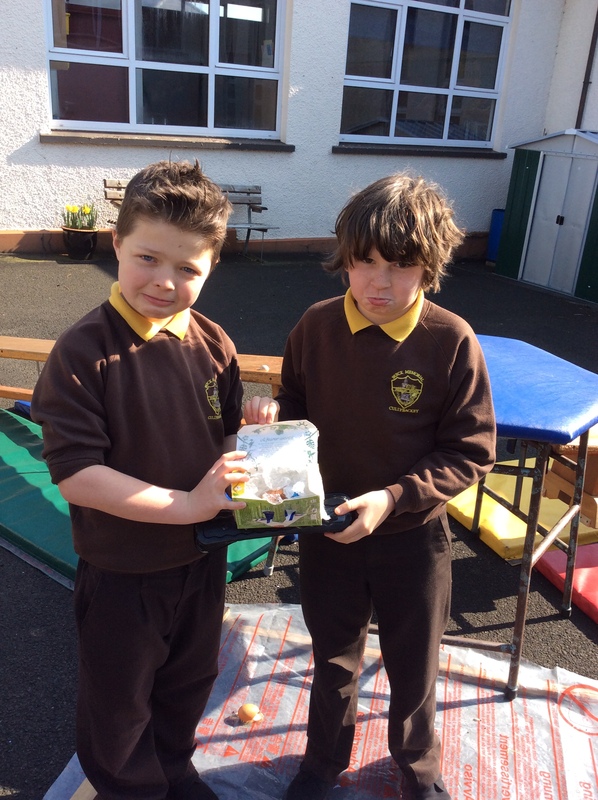 They were able to explain their reasoning behind different materials used to protect the egg. 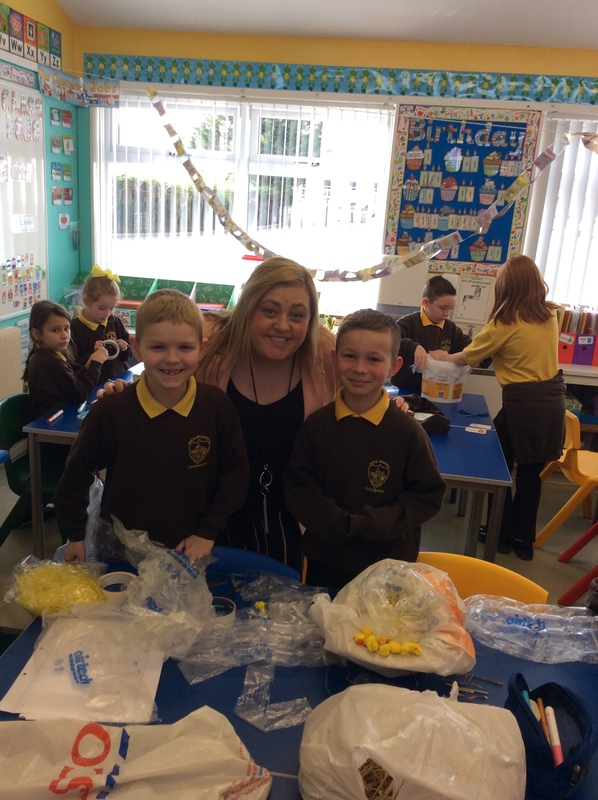 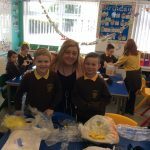 There were so many wonderful ideas and egg-cellent learning taking place that Miss Peters just had to come for a visit. 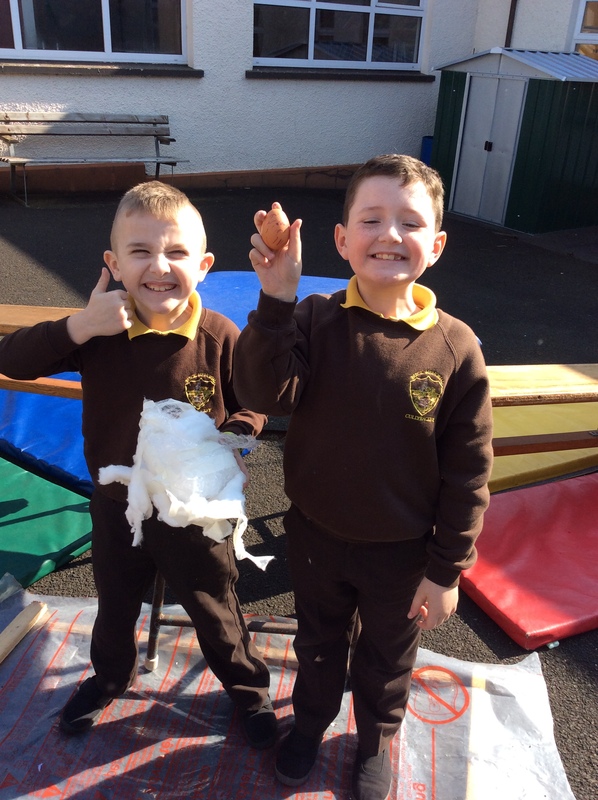 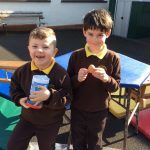 On Thursday morning P4/3 went to drop their eggs. 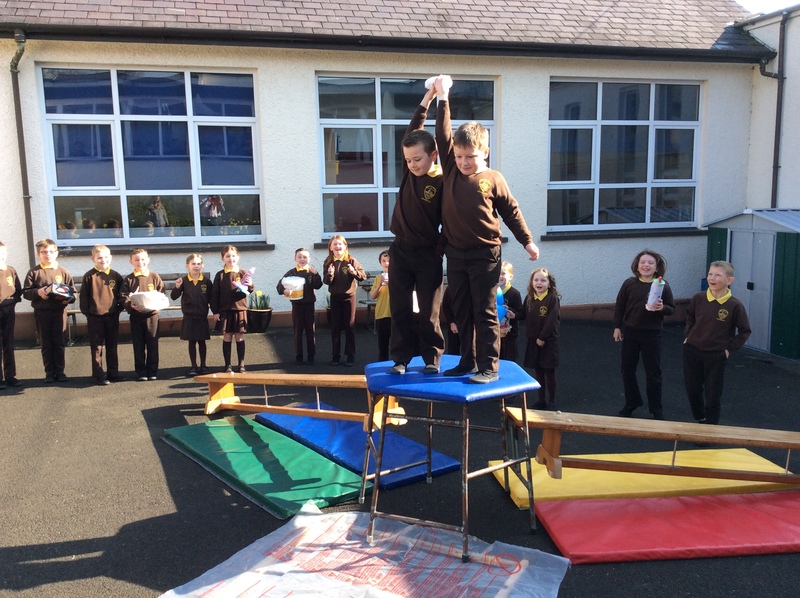 They climbed up on the equipment and in pairs they explained their contraption to the rest of the class. 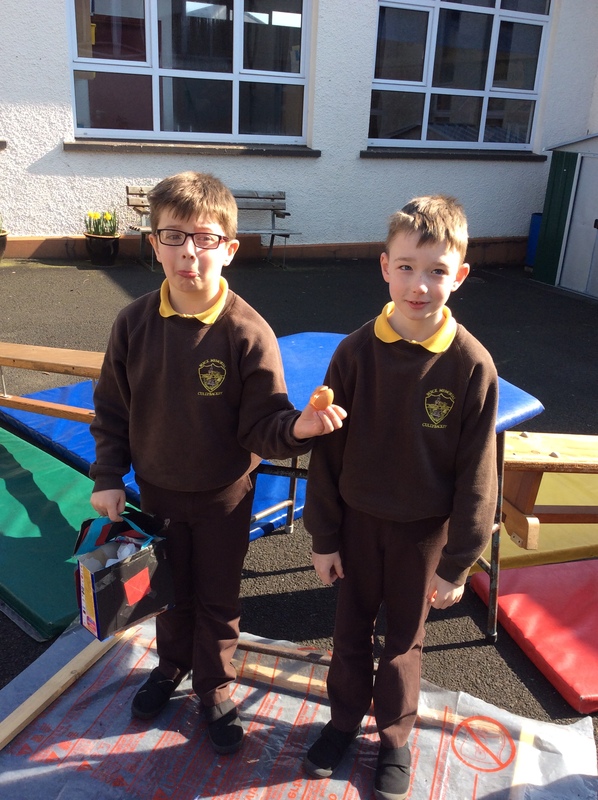 Then it was time for the egg to be dropped onto the ground. 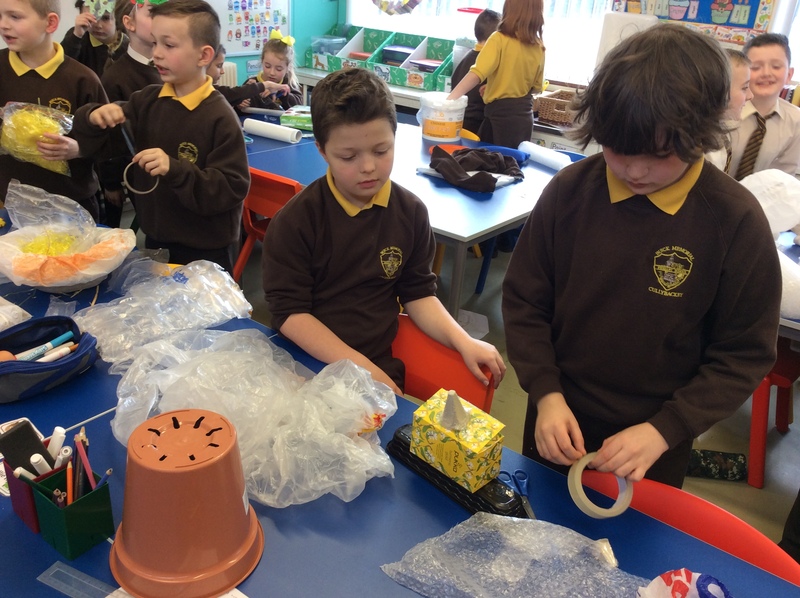 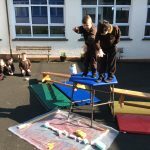 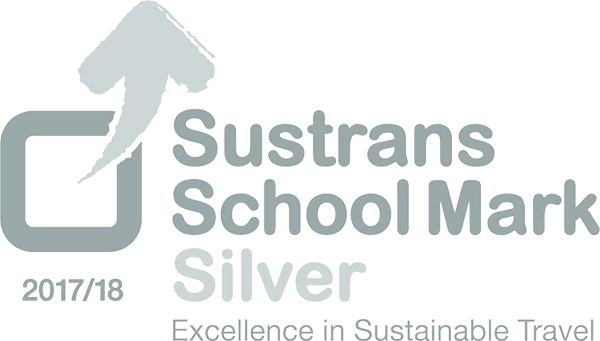 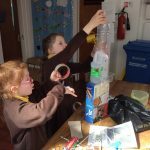 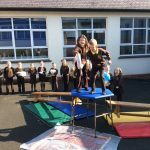 There were many successful contraptions and some that made a bit of a mess but P4/3 discussed the changes that could be made. 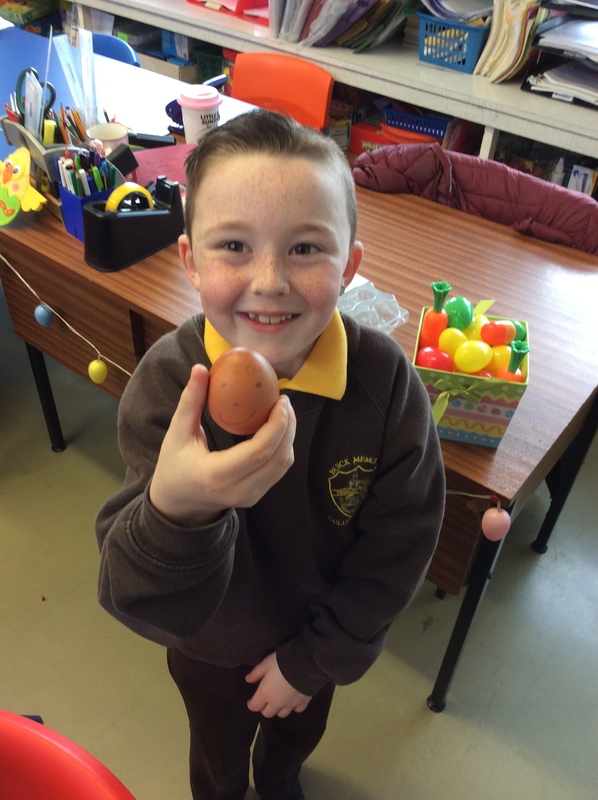 Well done P4/3 for your egg-cellent ideas and learning this week!